SF councillor Seamus Morris had accused Helen McEntee of setting aside her personal grief to seek a highly-paid job as a TD. A SINN FÉIN COUNCILLOR has apologised for a comment which criticised newly-elected Fine Gael TD Helen McEntee for running for election while still grieving for her father. Seamus Morris apologised for the comments where he accused McEntee, 26, of putting aside her grief to chase a well-paying job as a TD. Isnt it amazing that the McEntee family can put their grief to one side to keep their snouts in the trough? McEntee is the daughter of the former junior minister Shane McEntee, whose death on December 21 triggered a Dáil by-election in Meath East. McEntee herself was nominated as the Fine Gael candidate won the election on March 27. 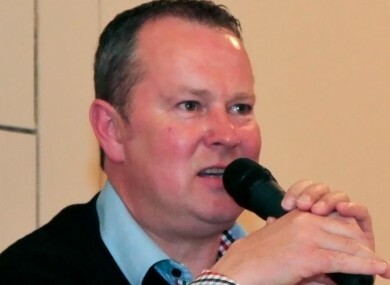 Morris’s comments had been criticised at the time by the North Tipperary branch of Young Fine Gael – and the Tipperary Star reported that Morris had rejected calls from that group to apologise for his remarks. This morning, however, Sinn Féin headquarters issued a brief apology from Morris, who acknowledged his comments “were crass, inappropriate and lacking in compassion”. “I wish to apologise for those comments and would like to withdraw my remarks,” he said. The apology came after his remarks were published on the front page of today’s Irish Daily Mail, to whom Morris again stood his ground. “I am sure Helen will have heard worse at the doors of Meath East,” he told that paper’s political editor Senan Molony. The comments have been taken down from the councillor’s personal page. McEntee has not yet formally taken her seat as a TD, as the Dáil has not met since the day of her election. She will be formally introduced to the chamber when the Dail reconvenes next Tuesday. Email “SF councillor apologises for McEntee 'snouts in the trough' comment”. Feedback on “SF councillor apologises for McEntee 'snouts in the trough' comment”.